Synopsis: An unpretentious beauty who radiates kindness, Kate MacKenna doesn’t have a bad bone in her body–or an enemy in the world. So why are bombs igniting everywhere she goes? The first explosion brings her face-to-face with a handsome Charleston police detective. The second sends her into the arms of her best friend’s brother–a Boston cop who’s a little too reckless and way too charming for comfort. But Dylan Buchanan won’t let emotion prevent him from doing his job: Someone is trying to kill Kate, and Dylan is the only one standing between her and the monster who wants her dead. 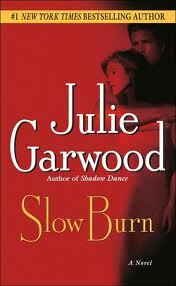 Review: Another well done Romance by Julie Garwood. I love the way she can mix, mystery, thrillers, and romance all in one.The men are all hot and the woman are strong yet in need of assistance. 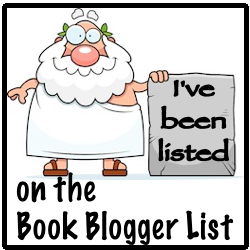 Garwood's characters are witty and realistic. And who else could come up with someone being saved from a bomb because of their wonderbra? Fabulous mind candy. The only part of the story that didn't suspend my disbelief was what Kate decides to do with the money she inherits from her nasty, money hungry Uncle. For someone who has massive financial issues and friends with issues as well its a little unreasonable to think someone would just turn down millions of dollars, no matter how it was earned.